Nothing to do with the part work really, but I've just finished my latest nine planet wooden one. 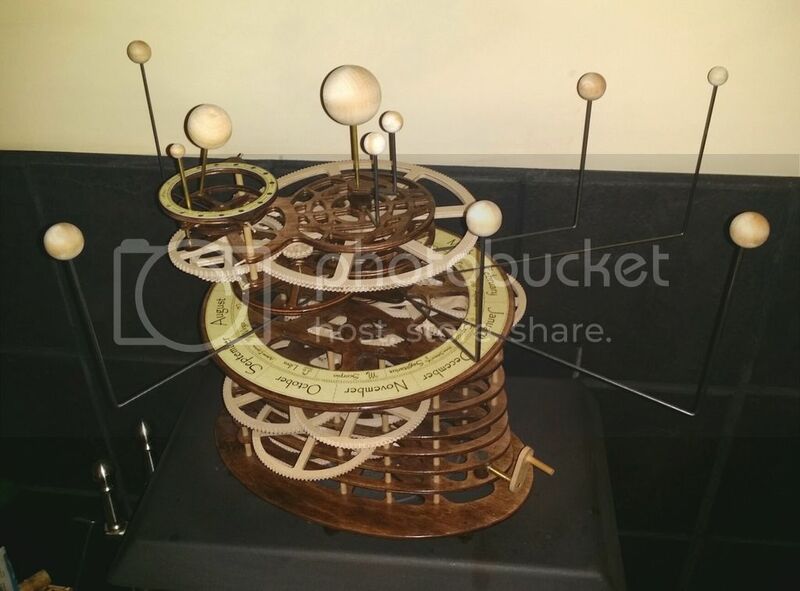 Your orrery looks fabulous! Certainly a lot more work than building from a kit! You be careful over there - I hear they're a very serious and studious lot. I haven't come up against the spam robot yet - I shall keep my virtual club close to hand, just in case.